Your holiday time is important and we take it as seriously as you do. Our goal is to exceed the expectations of all who stay with us and we measure this in no small part by the warmth of written testimonials we receive each year from our guests. The selection of comments below is taken from our guest book in the Chalet as well as from our Tripadvisor reviews. They are a reflection of the positive impressions of very many people who have trusted us to make their Alpine holiday a memorable one. We hope one day we will be able to feature a similar quote from those of you now considering booking with us at Chalet la Sache. We are also very proud that so many people re-book with us year after year. 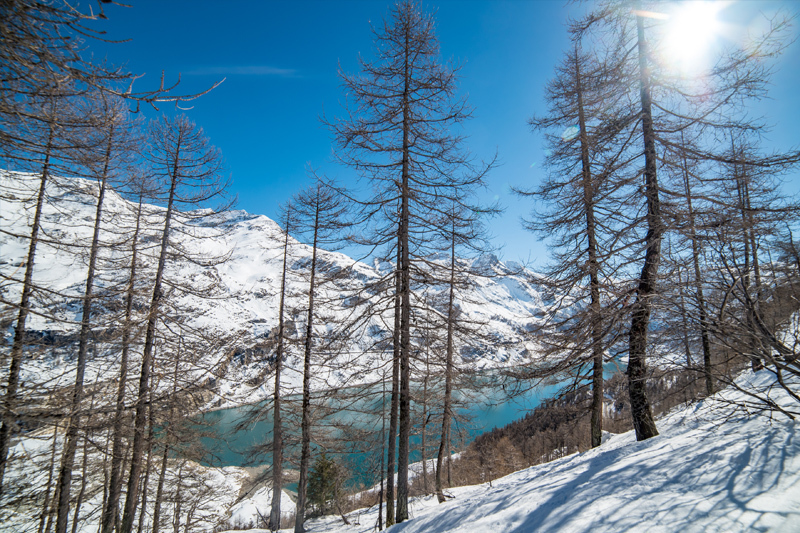 We have now completed our eighteenth season and many groups have been to Chalet La Sache year after year. Overall over 80% of groups have re-booked at least once! We think that is our highest recommendation and we thank all our loyal Skibrev guests for their continued support. Our aim is to improve the facilities and services every year to keep people coming back. 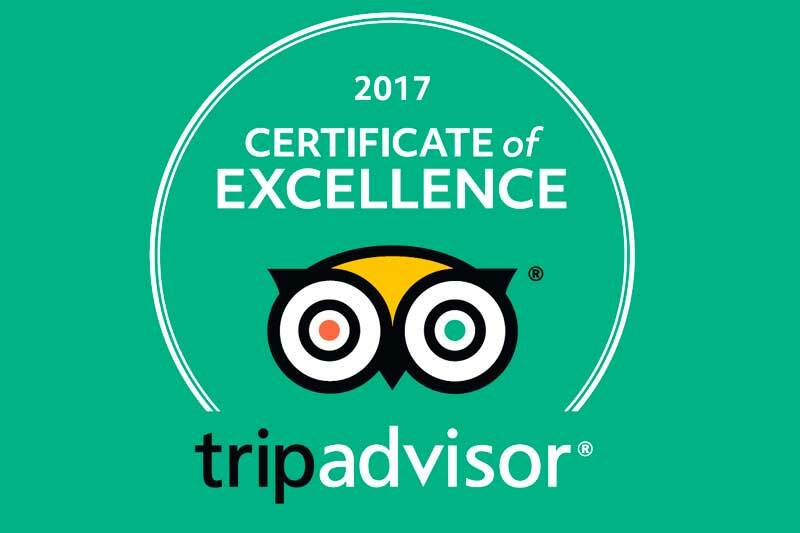 A link to our Trip Advisor reviews…. Over 95% of reviewers rate us as ‘Excellent’! Everything has been thought out - the arrival welcome, the friendly yet professional service and the fantastic meals prepared every day. I was treated to fabulous cooked breakfasts to fuel a long days skiing and afternoon tea & cake at the end of the day. The hosts were exceptional - welcoming, entertaining, friendly, adaptable and enthusiastic. This place is a real find! The chalet itself is amazing, a great layout and good space for all the group to spread out and mingle. The facilities are exceptional particularly the outdoor hot tub which was my favourite part after a long day in the slopes! Surpassed our (high!) expectations… We are just back from a wonderful, wonderful week at Chalet La Sache. ...What made this place special for us though was the careful attention paid to going the extra mile. An amazing week- the perfect place, perfect company, perfect food. Thank you, Chalet la Sache staff for adding to a fabulous week! Had a fantastic time, amazing crew, great fun, and food. They even ordered in the snow! Cheers guys. We have had a brilliant time at Chalet la Sache. Outstanding food, great service and your fun attitude with the kids has made this their BEST HOLIDAY EVER. We will be back! Another fantastic week, not our first and certainly not the last! The chalet is as comfortable as ever and the holiday made by the fantastic company and superb staff. Thank you for such a brilliant holiday, made wonderful for skiers and non-skiers alike. See you soon! We have skied, partied, danced, played and drank like the world is ending. All made beautifully possible by the best Chalet la Sache team. Thank you! I am writing to congratulate you on the wonderful staff that you have running your chalet. We stayed for a week from the 4th March and had a fantastic stay. The chalet was lovely and homely and we really enjoyed the atmosphere and views from the rooms. Ali is a very good manager ,as I’m sure you are aware, she was very amenable and competent and good company. Cas, the chef was amazing . She created some of the best food we had ever had in a chalet, it was beautiful.Alex was very good company too, and he mixed very well with us all. So , thanks for a wonderful break – weather wasn’t too good , but the staff made up for it !! I have just returned from a funtastic week spent at Chalet La Sache, I can honestly say that this was the best chalet I have ever stayed in. This is largely due to the absolutley fantastic team you have running it, Ali was always there to answer any questions and to organise the organised chaos that we must have been (15 friends staying in one place??? ), the phrase “above and beyond the call of duty” springs to mind. Alex also was superb at piste directions and advice and always helpful and friendly. How can I forget Caz, the food was far better than I could have hoped for, there wasn’t a single complaint or problem. Just thought I’d drop this note to say thanks once again and could you please pass on our many thanks to the wonderful Team SkiBrev. The ‘home from home’ cliché is a good one, except that it implies that I live in a fabulously large well appointed house with wonderful views and attentive staff who anticipate every need……sadly not true. Thanks for being so patient in the face of so much faffing and indecision. We have just returned from a fabulous half term week in you chalet. It was so good that we would like to return as everything about the holiday worked so well and the children had an absolute ball. Thanks for a fantastic week. Everyone was blown away with the chalet and the staff were friendly and helpful. A fantastic introduction to the ski experience. Skibrev takes the pain out of skiing by being so well thought out and by the enthusiastic efforts of the pamper team. All the best ’til next year. Last year was so good I honestly thought it could not be repeated, the service, the chalet, the luxury…I was wrong! What a place, thanks a million. We are already booked for next year. The website looked superb but nothing like experiencing it in person. Everything’s perfect here! Well designed house, great food, great service, superb staff! Thanks for making our stay so comfortable and for having us so pampered! See you again next year! A real home from home – in fact even better, the water never runs out, the food a great improvement on any of the Jordan offerings, and how amazing would it be to have Jason pick us up after a hard days work. Thank you for making it a memorable holiday. Fully endorse everything in this visitor’s book. Massively beyond expectations – chalet, resort, staff, babysitting, conditions and company, we all fully felt the lurv. Yet again another splendid week. Thank you so much for looking after us so well, nothing seems to be too much trouble, you all go that extra mile. Many thanks, see you again next year. Wow. Everything at La Sache lives up to and beyond expectations. We have enjoyed our best ski holiday ever, thanks to you all. We shall now join the queue for a return visit. Finally! A home from home in the Alps. Brilliant all round – especially the lift to the bubble and back. Superb week, best chalet ever, food, company and John fantastic! Fantastic holiday – the most beautiful and comfy chalet -everyone else has already said it – can’t wait to be back. Fantastic chalet. Fantastic food. Fantastic holiday. A fabulous week, can’t say enough – sheer luxury just does not describe it.